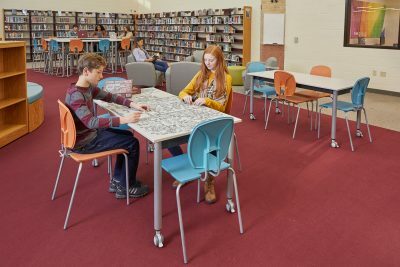 Prior to their renovation, Badger High School had a very traditional library, with immobile furniture placed in rows and minimal places for students to collaborate. 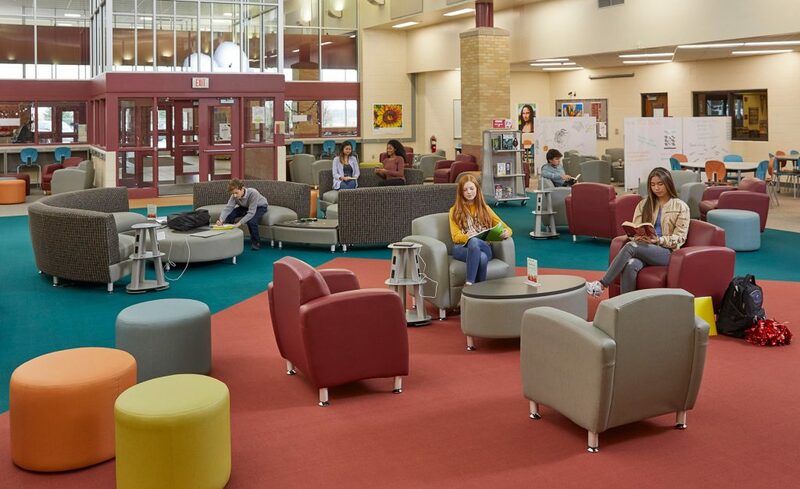 The library lacked soft seating and lounge areas for students to relax and read or work on their laptops. Three desktop computer labs were also contained within the library space, with 30 computers in each lab, taking up a large amount of space. 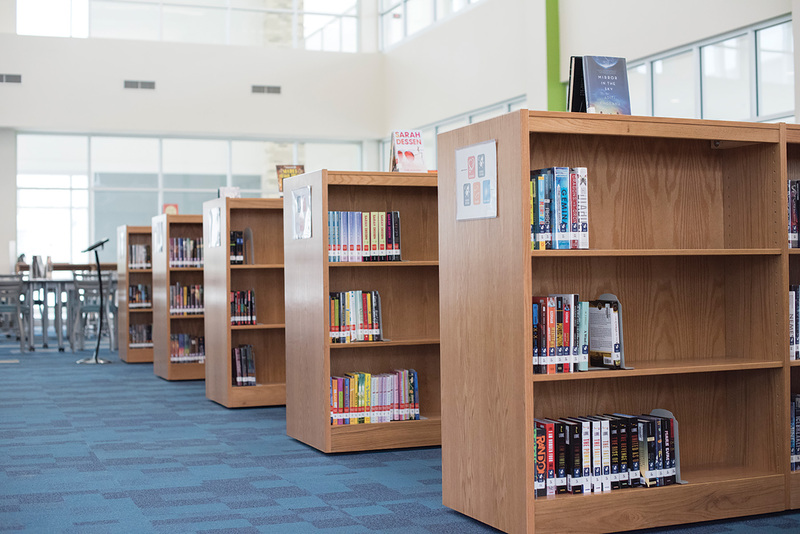 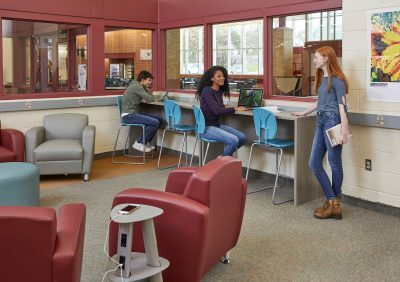 Administrators and staff wanted to transform their outdated spaces into a new library learning center that would feature collegiate-level design and resources. One of the main goals for the new learning center was to repurpose the computer lab space. 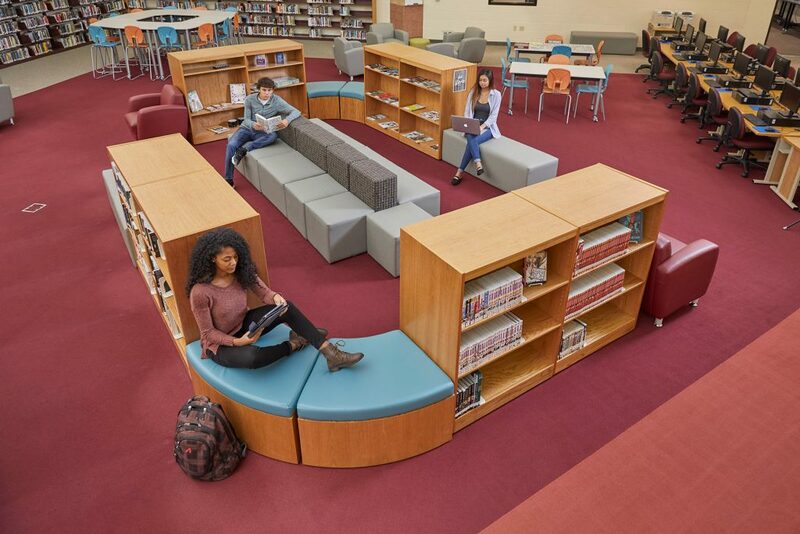 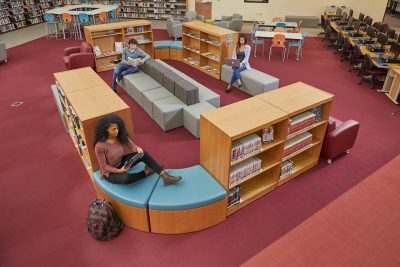 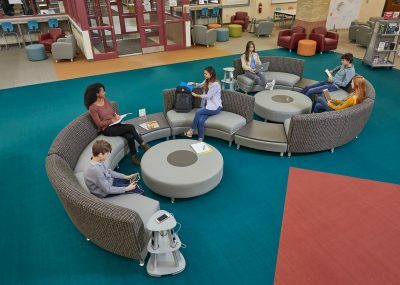 Since going 1:1 with Chromebooks, the school no longer saw a need for three computer labs and wanted to replace them with soft seating and mobile furniture to allow students to use their laptops anywhere in the library. 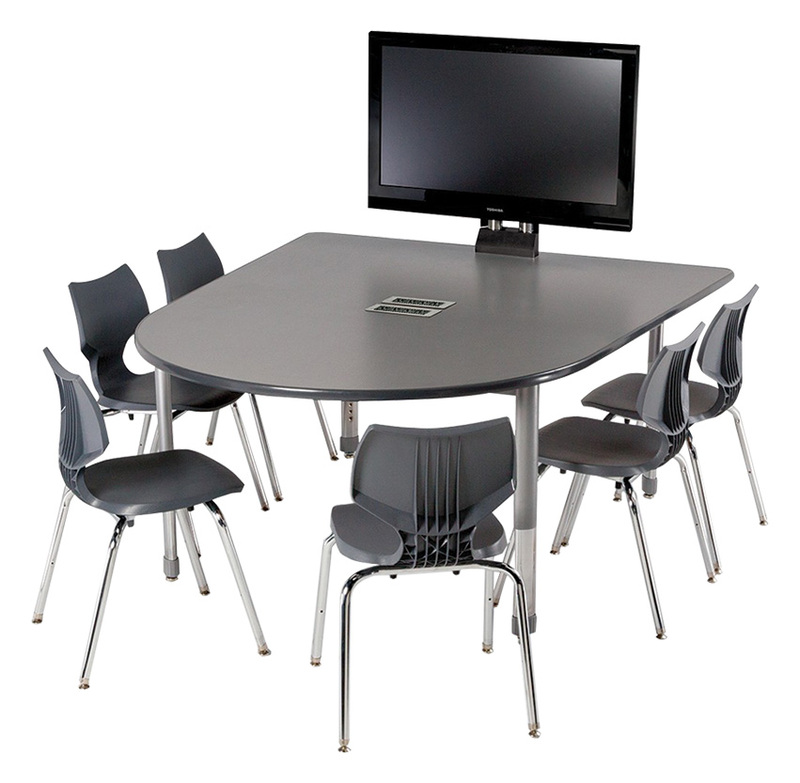 The Demco design team created a highly flexible, collaborative environment in a variety of ways. 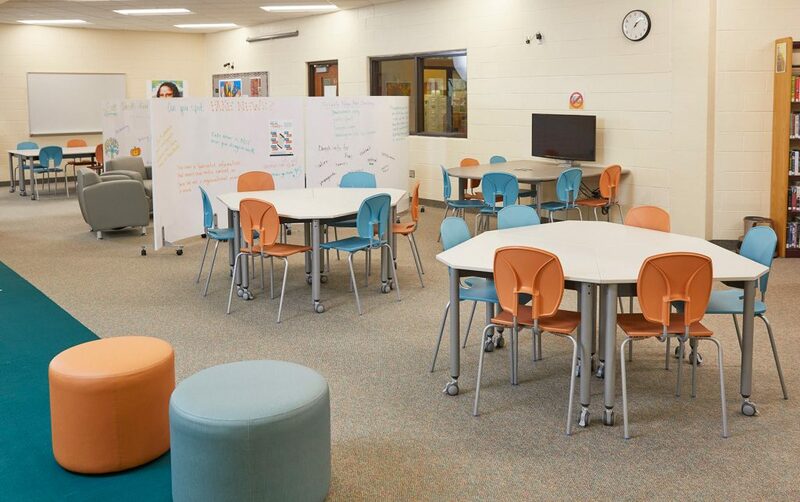 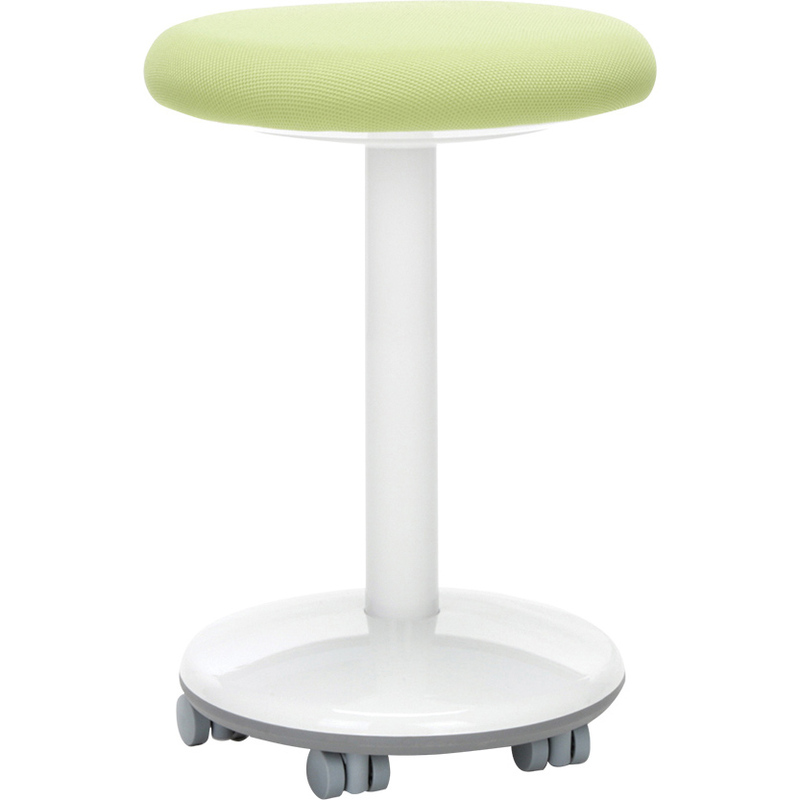 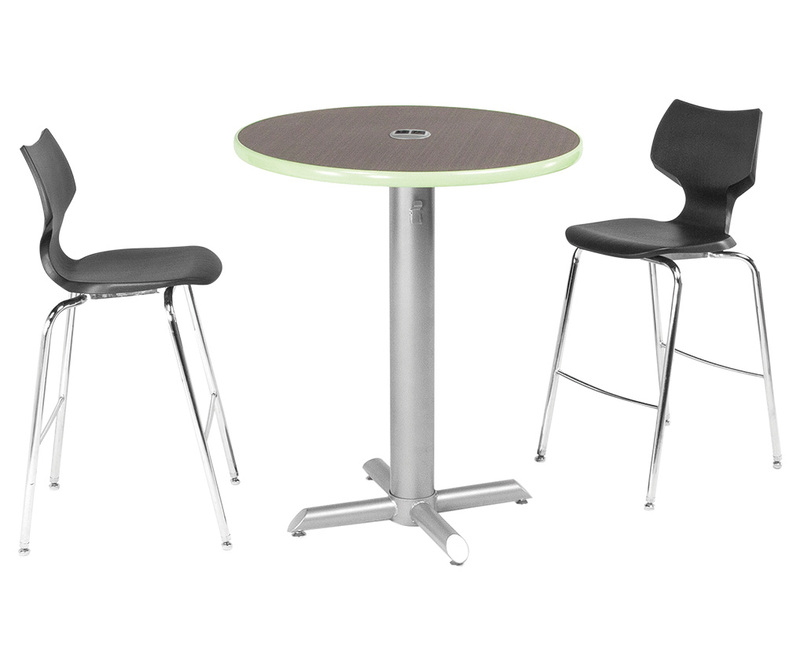 To make the learning center multifunctional, the team incorporated Muzo Kite® Tables and Mix® Stools throughout. 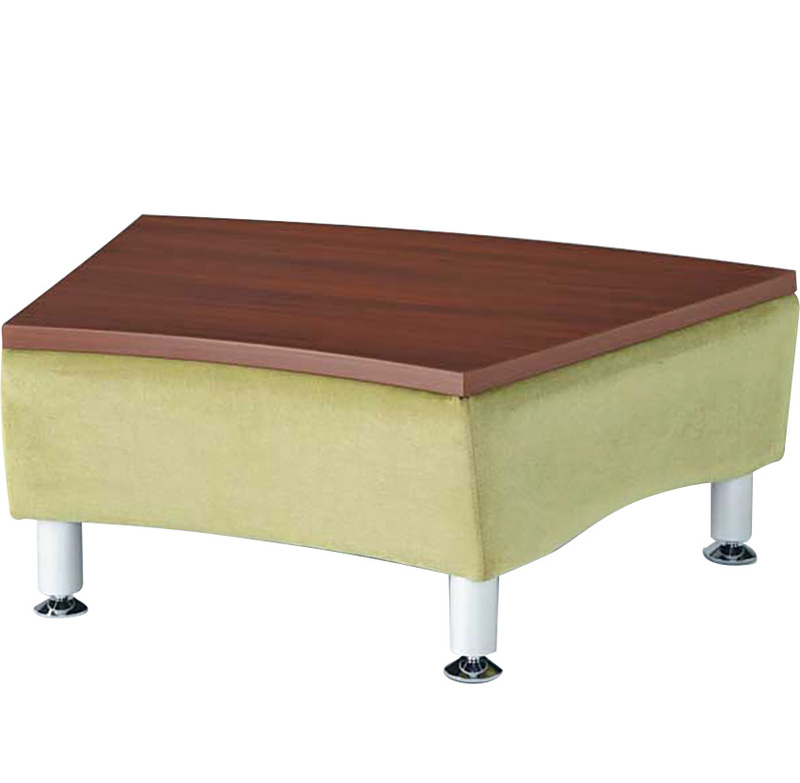 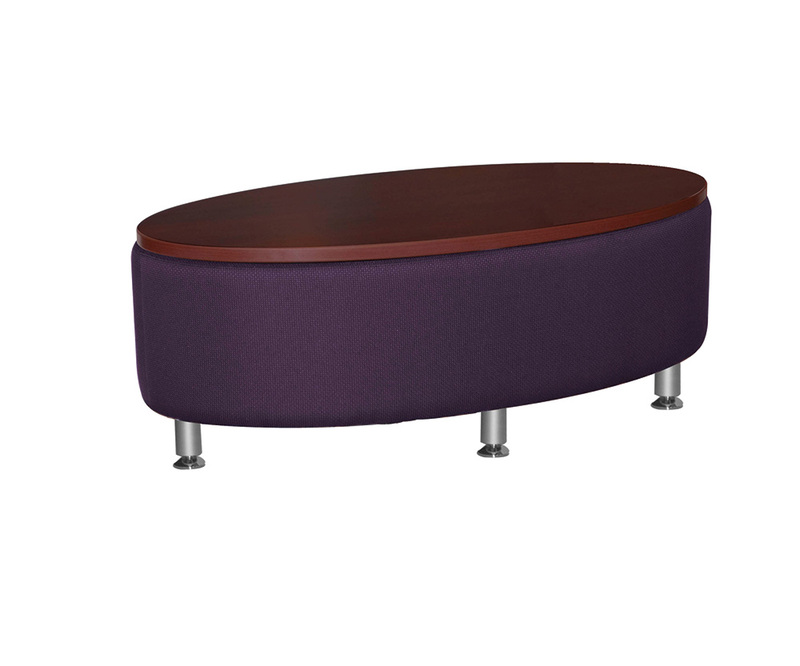 These furnishings can easily be rearranged for small-group and large-group work. 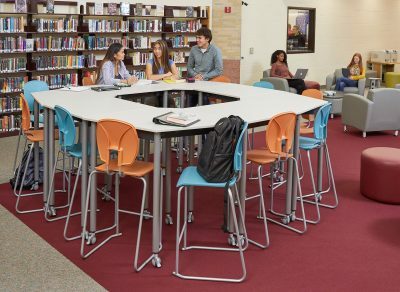 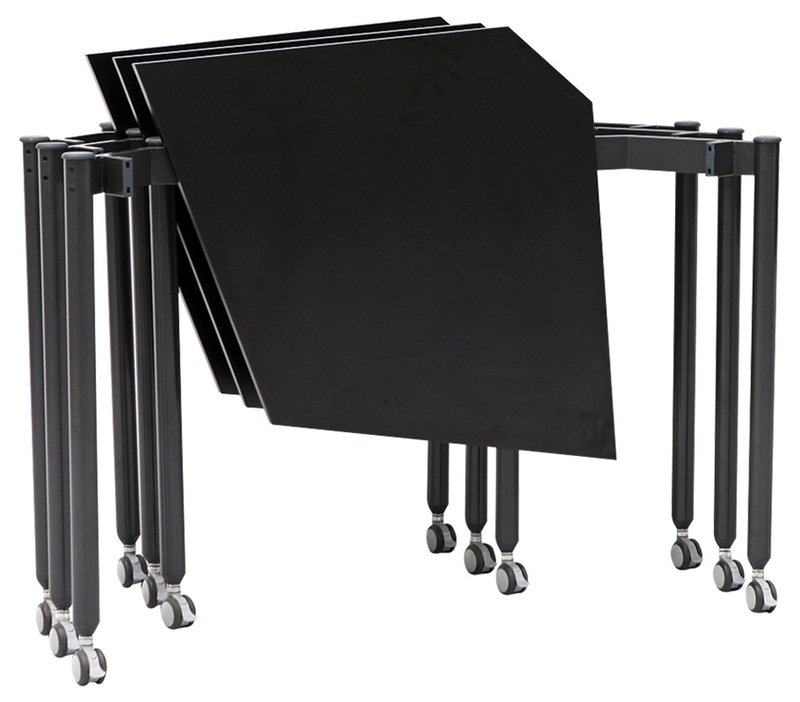 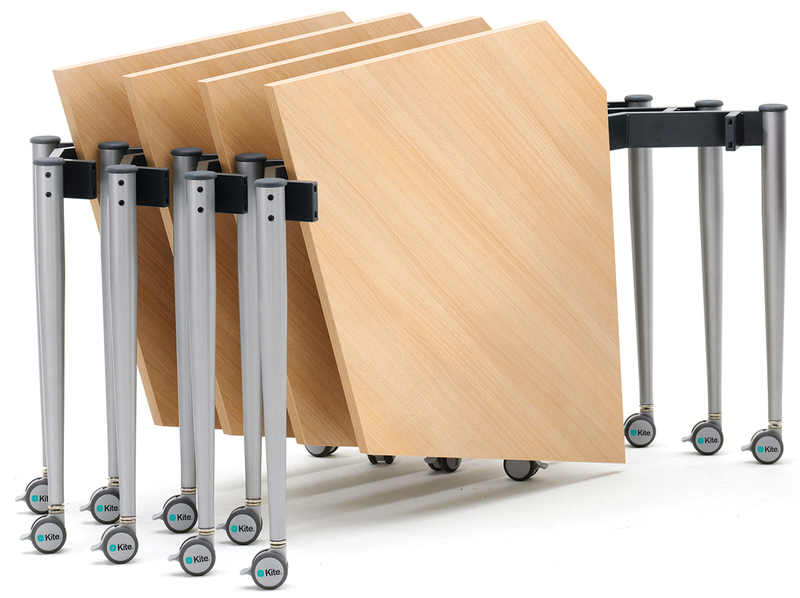 Muzo tables offer the additional advantage of folding over, nesting, and being rolled out of the way to clear the area for other activities. 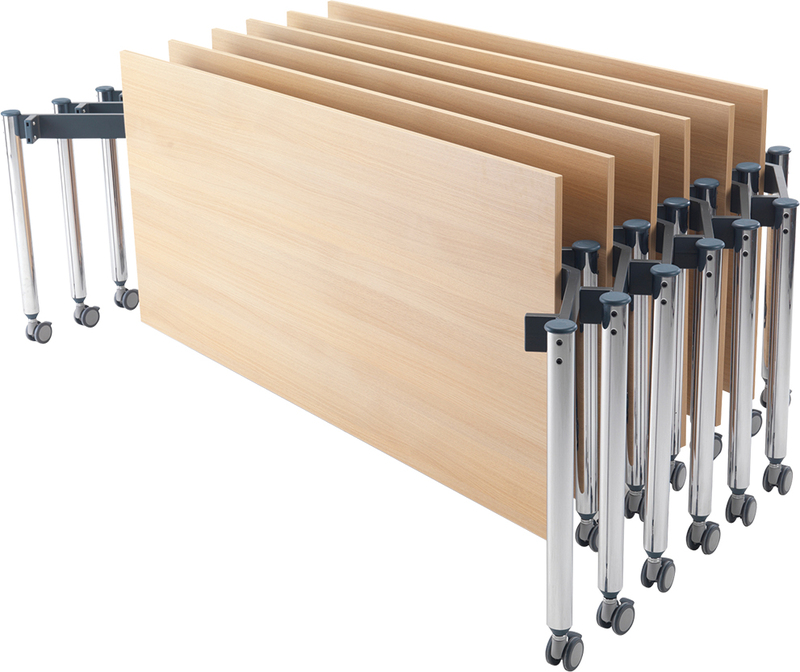 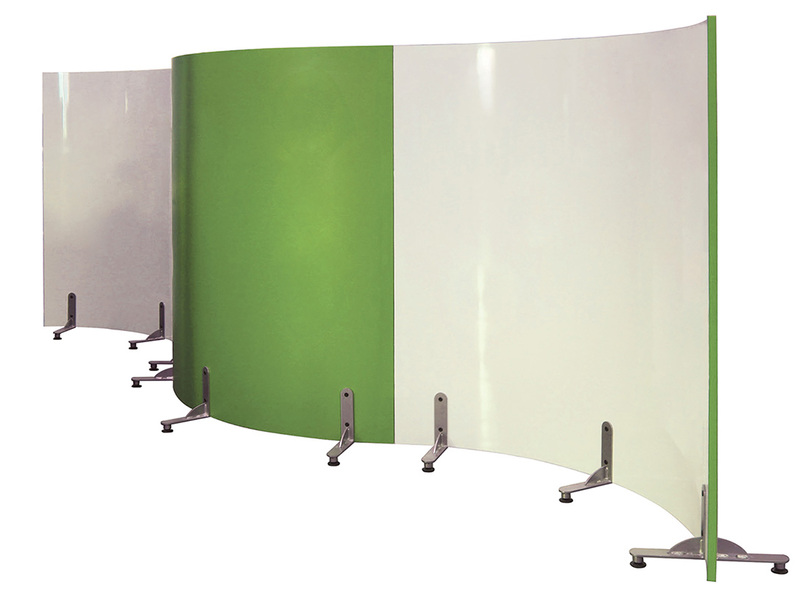 Dry-erase dividers help separate the larger space into zones so that different activities can take place within the larger space without interrupting learning elsewhere. 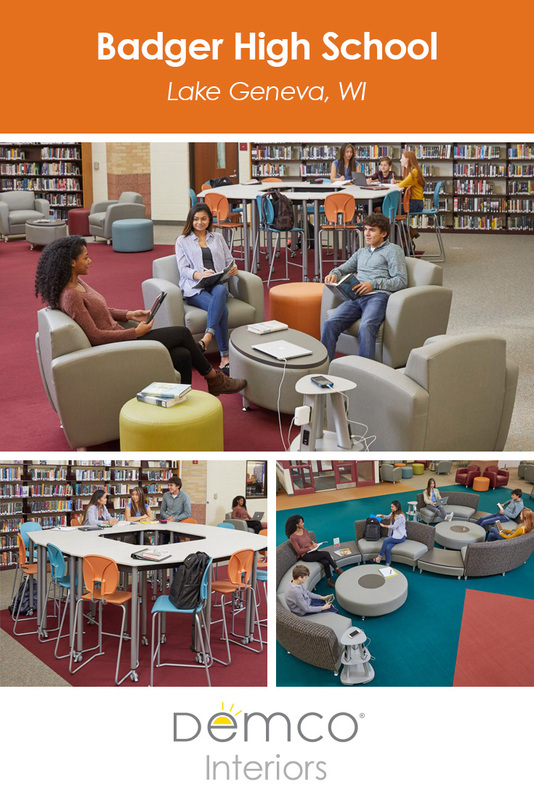 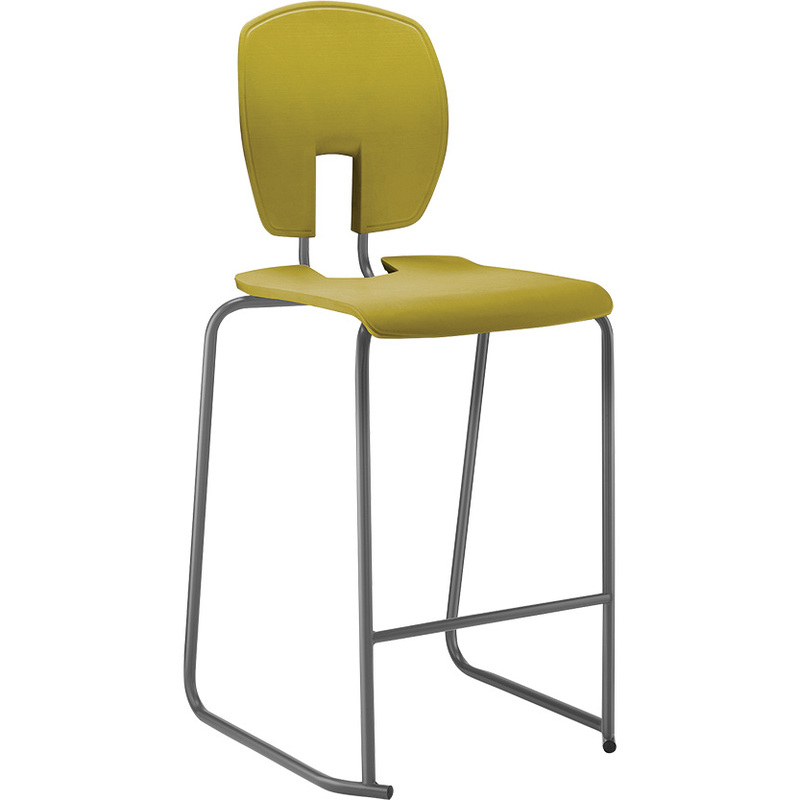 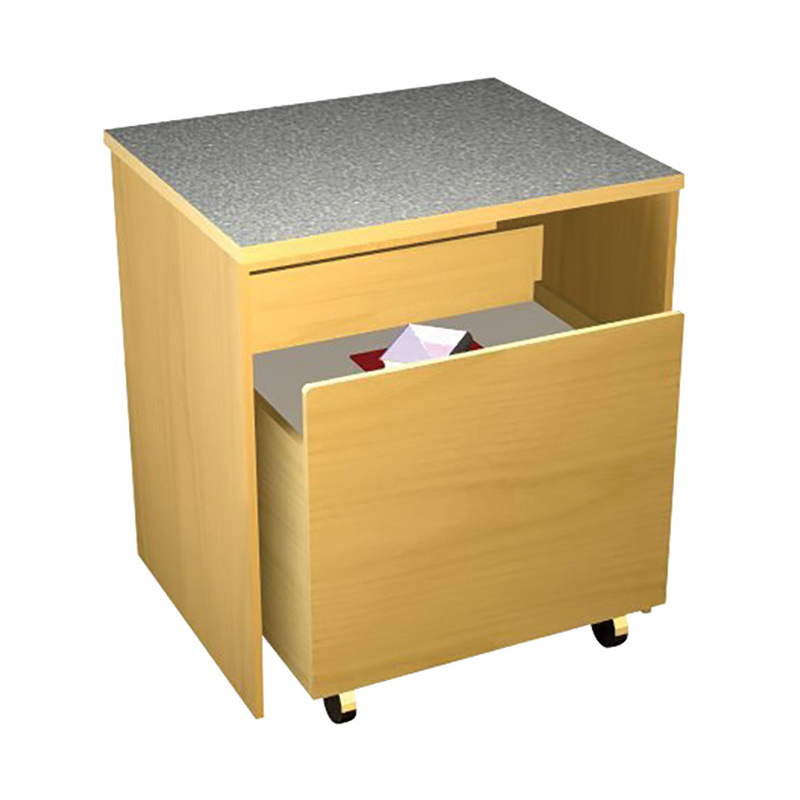 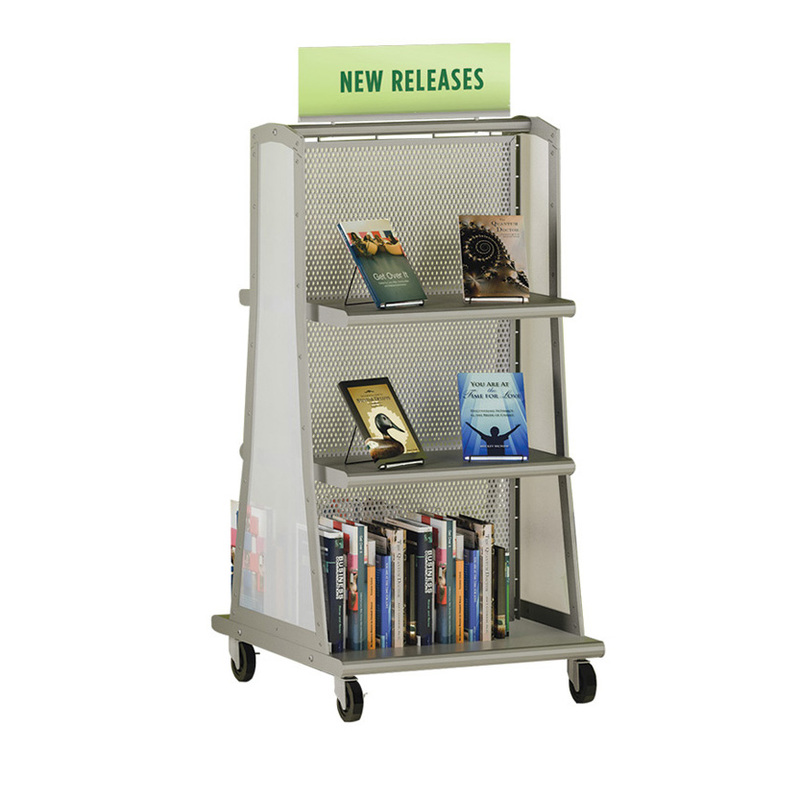 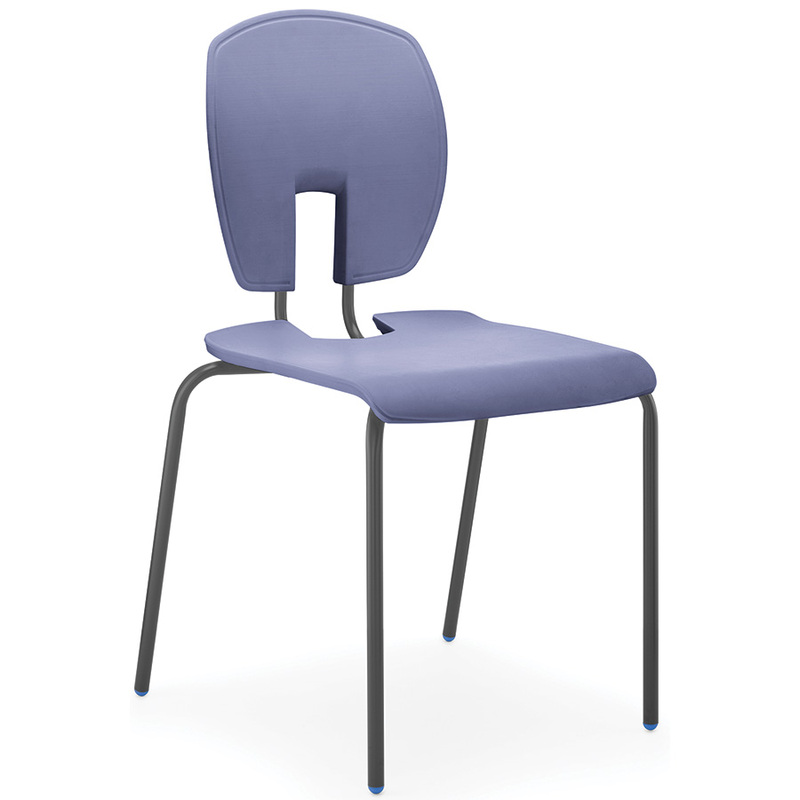 Ready to take your library or classroom to the next level with the right furniture and products? 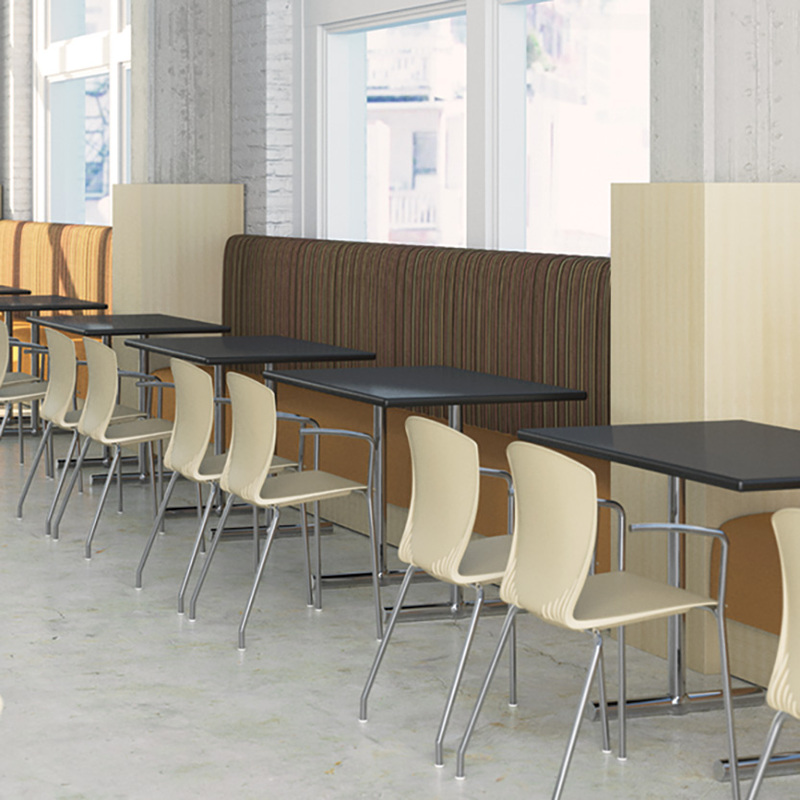 Request a consultation to have a Demco interior services expert help you maximize your new or renovated space. 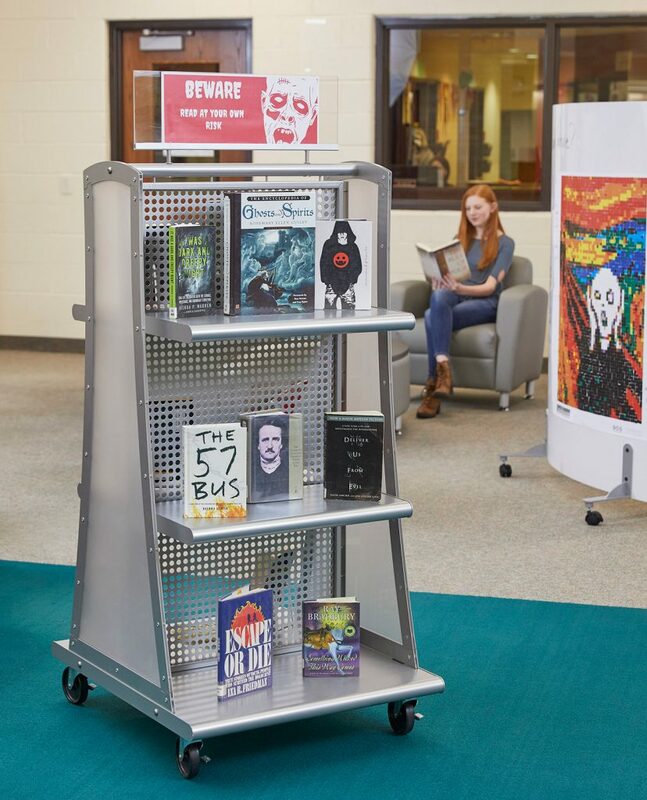 New double-face mobile shelving and mobile display islands showcase the collection, while throughout the learning center, a variety of seating options, including lounge furniture, café tables, and booth seating, invite students to collaborate, study, or relax with reading materials. 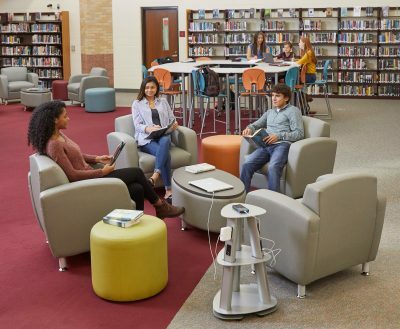 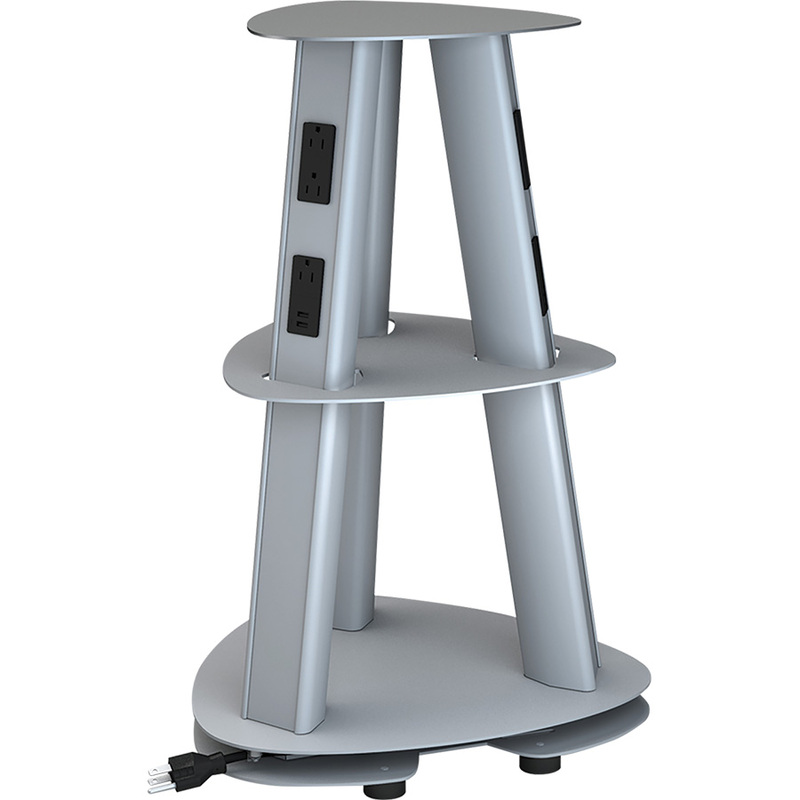 To create technology-infused collaboration spaces, the team installed mobile power sources throughout and media tables, which allow students to share multimedia projects in groups. 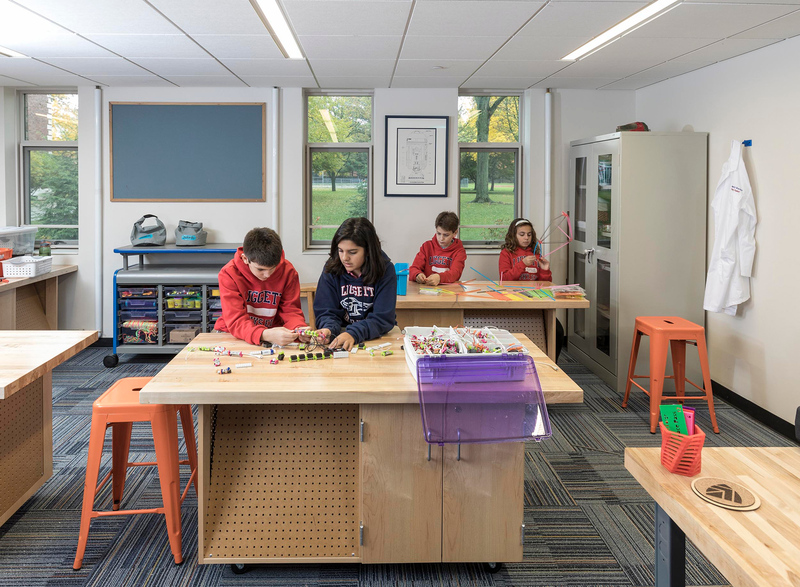 Along with the new furniture, Badger also added a fabrication lab off the library. 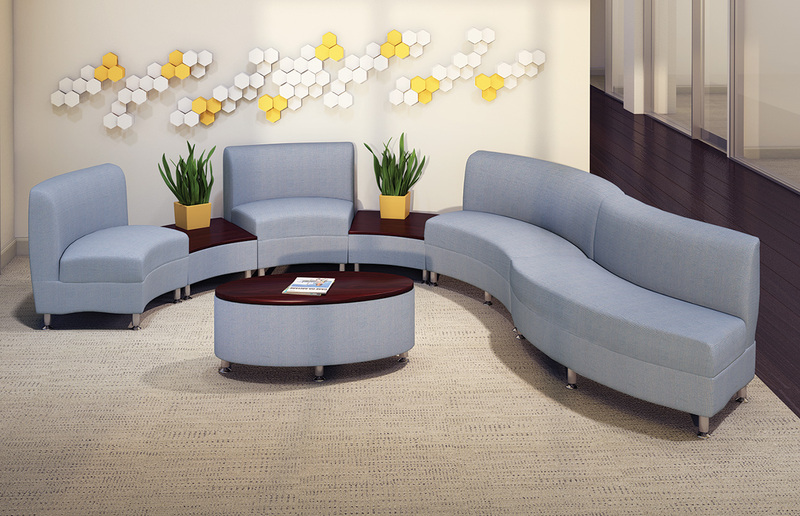 Click here to experience the space in virtually reality.